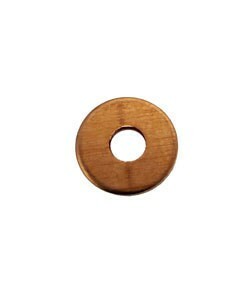 The rivets CCCU1012 or CCCU1013 will fit this washer. You can use this for extra holding when you mushroom out the shank. Washer is 9.1mm in diameter with a 3.1mm hole. It is 0.8mm (21ga) thick.